Paris-based investment firm Meridiam has acquired Dutch EV charging firm Allego from grid company Alliander for an undisclosed amount. Founded in 2013 as a subsidiary of Alliander, Allego offers customised charging solutions and charging infrastructure for local authorities, private companies and transport firms, and is currently active in a growing number of European countries. This includes plans to develop a pan-European interoperable ultra-fast charging network, focusing on metropolitan areas and along highways, known as Mega-E (Metropolitan Greater Areas Electrified). Meridiam said the acquisition would bolster its ecological transition strategy and comes as the EV market is expected to grow in an exponential manner in the upcoming decade. In Europe in 2030, 30-40% of new car sales are expected to be electric vehicles. It added that the two firms would continue to develop jointly the Mega-E European Commission-backed project, which aims to deploy 322 ultra-fast charging locations including 39 multimodal smart charging hubs in at least 10 European metropolitan areas. 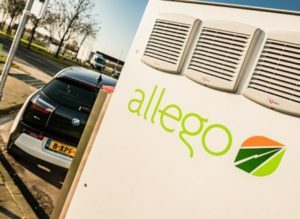 Alliander said Allego’s activities were less well suited to its risk profile these days, adding that in terms of e-transport, its role over the next few years would be to connect the hundreds of thousands of new charging points to the Dutch electricity grid in time.